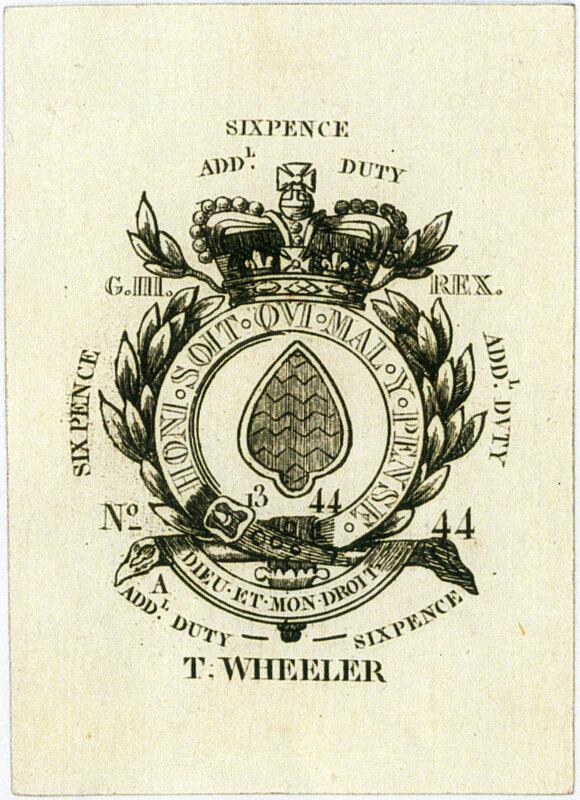 The English Playing Card Society was founded in 1984 on a non profit-making basis by Peter Way and Major R.T. Donald Welsh. The purpose of the Society is to bring together collectors, researchers, manufacturers, museums and libraries, and all persons interested who wish to increase their knowledge of English playing cards and card games, their makers and designers. An informative, well illustrated and readable newsletter is published three times a year together with details of meetings, new publications, recent discoveries and regular updates. Click here to read the Society's CONSTITUTION. 25th Anniversary AGM photos held in Pratts Hotel, Bath, 2009. Subscription rates for 2019 are the same as last year. UK = £28 (sterling cheque £27), Europe = £33 , Worldwide = £37. The EPCS Paypal account is: payment@epcs.org and my address for cheques is still the same. For those without a Paypal Account I can send a Paypal Invoice that can easily be paid using any credit card; just let me know. Also, ask me for online account details for transfers if required. Change of Date: The next EPCS Meeting will on Saturday 18th May 2019 at The Huntsman Pub in Bath BA1 1LJ. We now have Facebook and Twitter pages. We invite you to visit our Social Media pages. Follow our social media for updates, and perhaps Like or share our pages too. 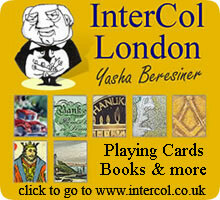 We would like to spread knowledge of The English Playing Card Society as widely as we can. The EPCS has published a book of the 25th Anniversary Deck "Metastasis". Click on the image of the book (below), and browse through the book to see every page and every card. Each card is near A5 size, one to each page. You will also find details of purchase options. A few decks/packs of these limited cards are still available. Contact secretary@epcs.org if you are interested. 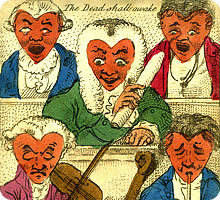 The Society Motif (top right) is from "The History of Playing Cards" by Rev. E.S. Taylor (1865). On page 238 there is a picture of the dog and the devil entitled 'Deuce and Tray'. An Ace of Spades symbol has been added to complete a representation of the first three cards in a standard pack: ace, deuce and three. The Ace and Deuce need no explanation. The dog 'Tray' is phonetically similar to 'tres' or 'three'. Three of Clubs: “Old Dog Tray”. There is a story about it that Lord Dunblane played cards with the Prince of Orange on his voyage to England in 1688. At the end of the game the Prince handed the cards to Lord Dunblane with his signature on the Three of Clubs. The E.P.C.S. 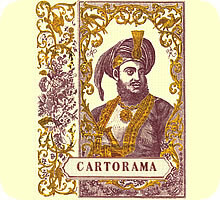 Logo is based on the 'Garter' Ace of Spades and incorporates the motif in the centre. 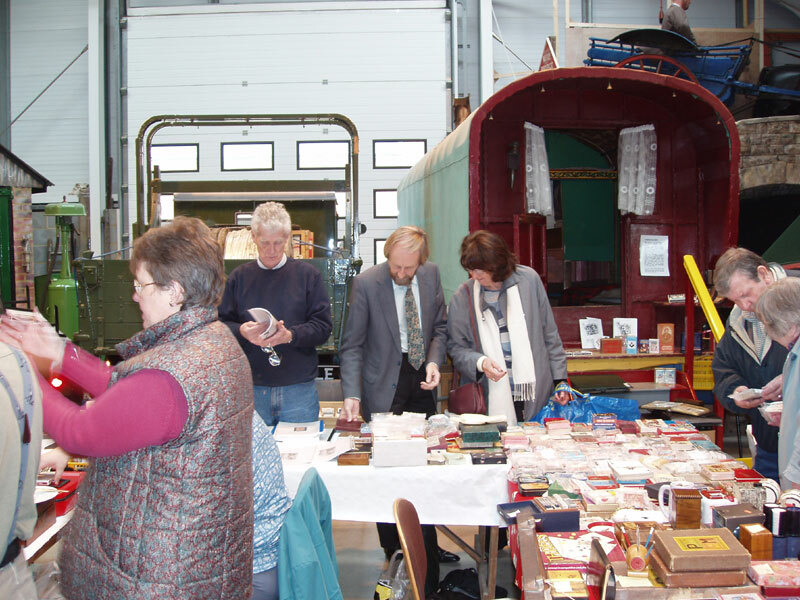 The Society publishes a 30+ page A4 Magazine (including colour plates) which is free to members. This is dispatched three times a year and builds up into a reference source, with an index, containing information which is not readily available through any other source. Members are invited to contribute articles to the Newsletter. 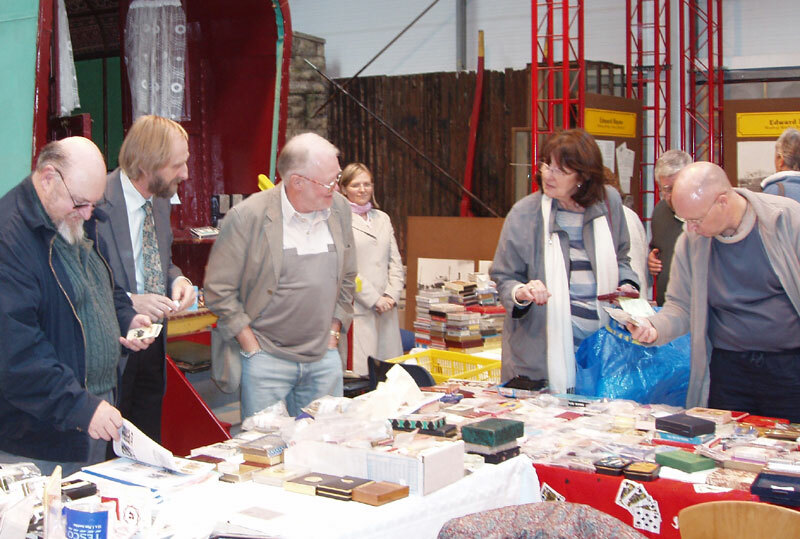 The Society usually holds two meetings each year, a golden opportunity for exchanging and buying cards, as well as a social occasion. 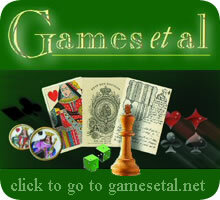 A talk is usually given on an interesting topic relating to playing cards, and refreshments are available. The next EPCS Meeting will be at The Huntsman Pub in Bath BA1 1LJ on Saturday 18th May 2019. Please contact the Secretary for more information. 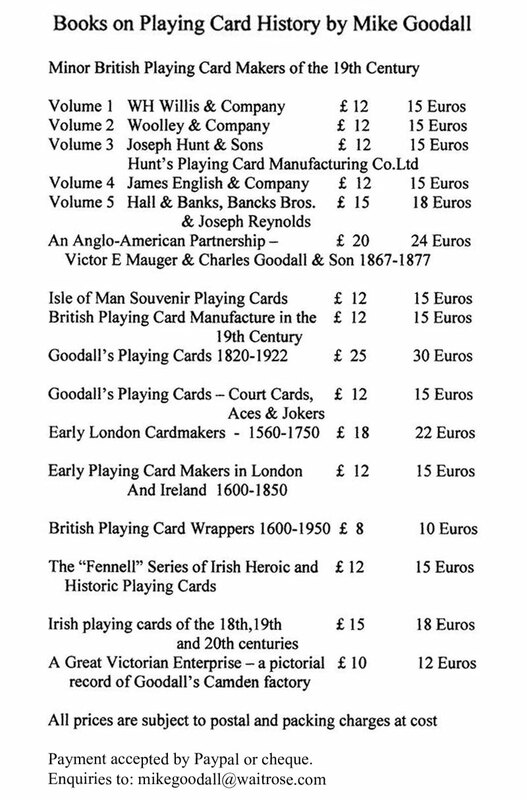 Click here to read article about "Collecting English Playing Cards" by Major Donald Welsh, co-founder of the Society. 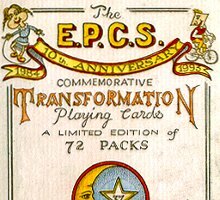 Above: E. P. C. S. 1Oth Anniversary Transformation playing cards designed and produced by Karl Gerich, 1993. Above: E. P. C. S. 25th Anniversary 'Metastasis' Transformation deck digitally re-mastered by Barney Townshend, 2010.